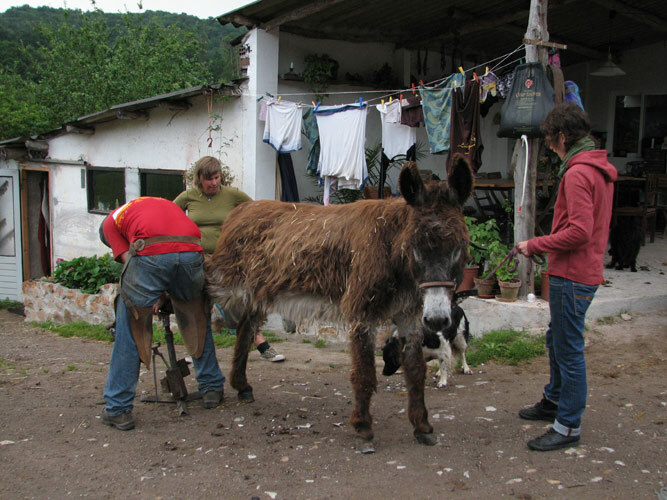 There is always something to do in El Paraíso del Burro and some tasks/ projects are a never-ending story, like cleaning out the stables. There are projects that are tied to a certain period of time such as apple picking in the month of October or pruning in January. In addition to different projects, we have everyday routines such as feeding and caring for the animals (donkeys, dogs, horses and cats), cleaning thestables and cooking. We usually work on our projects after breakfast until lunchtime. Jobs can be either allocated or chosen depending on the needs of the sanctuary. Vegetable and herb garden (general maintenance and upkeep, harvesting, sowing and processing). Repair and maintenance of the fencing. Cleaning and maintaining the finca (removing branches, cutting down old trees, strimming brambles). Cutting dead apple trees and planting new ones. Spreading compost (donkey poo) around apple trees. Animal healthcare (natural medicine, physiotherapy etc.). If you don't want to or aren't able to come to El Paraíso del Burro but still want to help us in some way we would be grateful for help with making flyers, advertising and fundraising. And maybe you have a great idea yourself about how you could help us!